Check out my daughter’s latest digital artwork. The other two are found here and here. 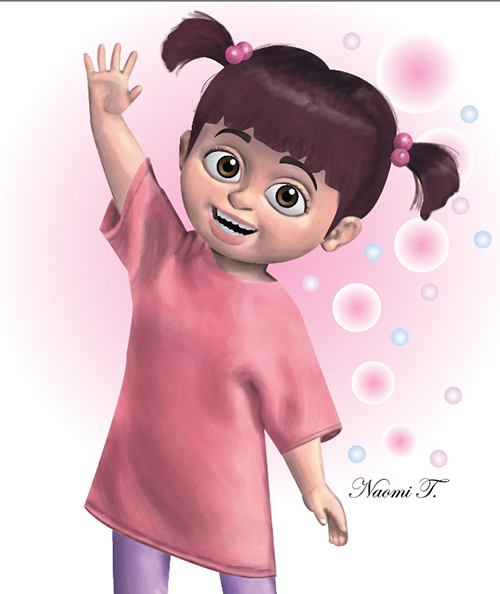 This entry was posted in Artwork, Digital Art and tagged boo, digital art, monster inc on May 28, 2013 by Yami. Students take note. This is one of the important habits students should learn to develop if they wish to avoid cramming during examinations and submission of projects. This is pretty basic, students should know when assignments are due; label their things; and be an expert on any course requirements and due dates. It may be too technical to advise young students to clean pc, so for this one, they may hire an expert to do it for them. Get organized info is one of the tips listed in the College Survival Tips brochure that my daughter received during an orientation earlier. This entry was posted in Kids and School and tagged college life, college student, college survival tips on May 21, 2013 by Yami. I’m happy with her new artwork that I may buy her a new backpack at Gregory Baltoro 65 Backpack as a reward. Their backpacks are on sale now. I hope their online store carries smaller bags that are under $30. 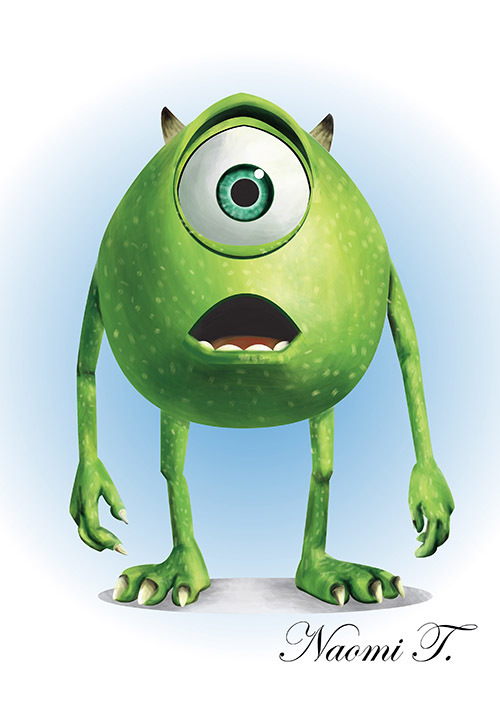 This entry was posted in Artwork, Digital Art and tagged digital art mike wazoski, disney, disney pixar character, mike wazowski, monster's inc., pixar on May 16, 2013 by Yami.